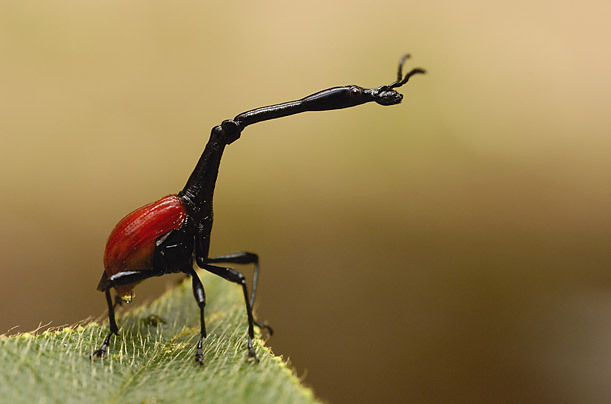 The elongated neck of this extraordinary insect is an adaptation that assists in nest building. It is only found on the male of the species. Its total body length is a little less than an inch.